CLASSROOM ASSESSMENT Angelo, T.A., and Cross, K.P. (1993). 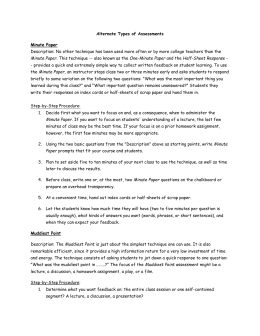 Classroom assessment techniques: A handbook for college teachers . San Francisco: Jossey-Bass.